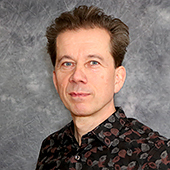 Dr. Stefan Wirsenius is Associate Professor in Environmental and Resource Assessments of Agriculture in the Department of Space, Earth and Environment. His expertise is in environmental science with specialization towards land use, carbon and nitrogen cycling, and greenhouse gas emissions. He is also an expert in agricultural sciences, with specialization towards physical and economic modeling of food, bioenergy, and agricultural systems. Stefan Wirsenius’ research interests center on the challenge of meeting the increasing food demand of a growing and wealthier world population while at the same time minimizing the negative environmental impacts of agriculture. The overall aim is to assess different options, such as technology improvements and consumption changes, for mitigating climate and environmental impacts caused by food and agriculture. There might be more projects where Stefan Wirsenius participates, but you have to be logged in as a Chalmers employee to see them.